CoinSafe Square Coin Tubes are made of a high quality compact design that is strong and durable. CoinSafe Penny Square tubes hold up to 50 coins and have a double locking seal cap for safe reliable storage. The tubes are made in a square design to be stackable and prevent rolling. These tubes are also great for storing jewelry supplies, beads, hardware, buttons and other small items. 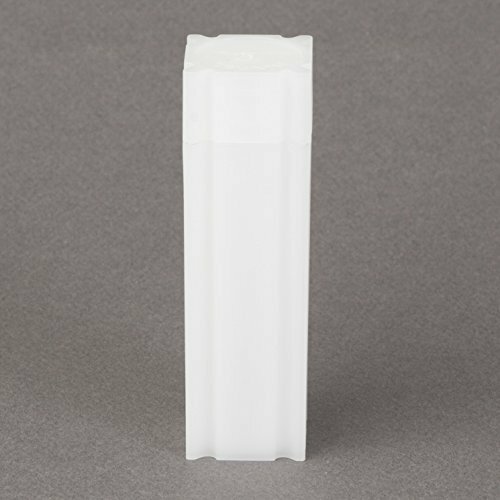 CoinSafe Square Coin Tubes are PVC free archival safe and Made in the USA. Holds a Standard Roll of 50 US Penny/Cents without the wrapper. If you have any questions about this product by CoinSafe, contact us by completing and submitting the form below. If you are looking for a specif part number, please include it with your message.